South Korean boy band BTS has been named among the US Time magazine's "25 Most Influential People on the Internet" for 2018. Time released its annual list Thursday (US time) based on "their global impact on social media and their overall ability to drive news." 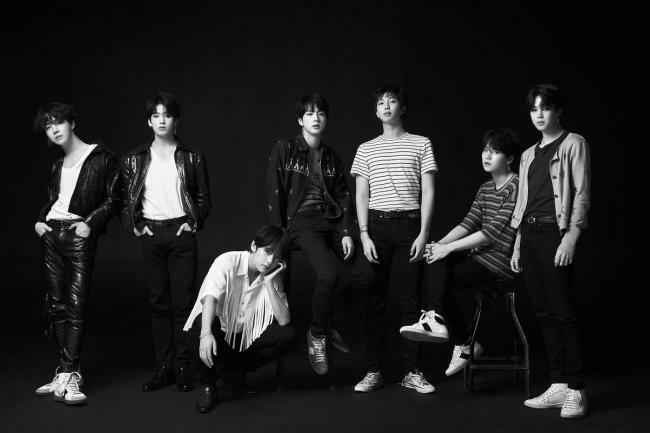 BTS was chosen for their huge success with the latest EP "Love Yourself: Tear," the first K-pop album to top the Billboard 200 albums chart. Behind the success was the group's powerful fandom Army, which "eagerly consume anything related to the group, from tweets to videos," the magazine was quoted by the Associated Press as saying. The boy band also stayed for almost 90 weeks atop Billboard's Social 50 chart, longer than even Justin Bieber, and won the top social artist award at the Billboard Music Awards for the second time in a row in May.